"Become a Magnet to Money" is for seekers who wish to learn how to manifest success and prosperity through spiritual principles, and for those who also wish to study and delve more deeply into their spiritual nature in order to discover the true potential of their soul's journey and purpose. Going beyond "The Secret," "Become a Magnet to Money" covers the basics right through to the highest levels of consciousness--a must for anyone's personal success library. Years from now you could be looking back at your small investment in this book as the wisest decision you have ever made. 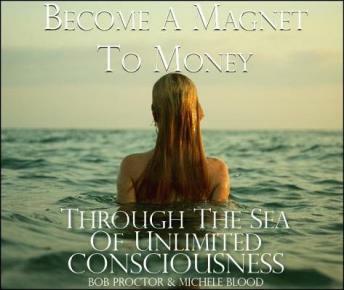 "Become a Magnet to Money" delves deeply to open your consciousness to the truth of what wealth really is....more deeply than you may have ever experienced before. If you only knew the omnipotent power that you can plug into, your life would be breath taking.